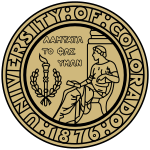 University of Colorado Denver | Anschutz Medical Campus, USA. Visiting Scientist - Fulbright Scholar, 2012. Scuola Superiore Sant'Anna, Pisa, Italy. Post-Doctoral Research Fellow, 2008-2010. IMT Lucca and Scuola Superiore Sant'Anna, Pisa, Italy. Ph.D. Biorobotics Science and Engineering, 2008. University of Pisa, Italy. B.Sc. and M.Sc. Electronic Engineering, 2002 and 2004. Christian Cipriani is a Professor of Bioengineering (since Dec 2016) and the Head of the Artificial Hands Area at the BioRobotics Institute of the Scuola Superiore Sant'Anna, Pisa. Since December 2017 he also serves as the Director (2018-2020) of the same Institute. He was born in Lucca, Italy, on October 22, 1980. He received the Laurea degree in Electronic Engineering (MSc) with full marks from the University of Pisa, Pisa, Italy in 2004 and the Ph.D. in Biorobotics Science and Engineering from a joint program between IMT Institute for Advanced Studies, Lucca and Scuola Superiore Sant'Anna (SSSA), Pisa in 2008. The PhD thesis was entitled: "Control Developments for prosthetic and cybernetic hands", supervised by Dr. M. C. Carrozza. During 2008 he has been a visiting student at Lund University, Lund, Sweden. In 2009 he founded Prensilia S.r.l., a spin-off company of SSSA that develops and commercializes robotic hands. From January 2011 to April 2014 he was an Assistant Professor of Biomedical Robotics at the BioRobotics Institute of SSSA; from May 2014 to December 2016 he was an Associate Professor of Bioengineering, at the same Institute. In 2012 he has been a Visiting Scientist with the Biomechatronics Development Lab directed by Dr. R. Weir at University of Colorado Denver | Anschutz Medical Campus, with a Fulbright Scholarship. From 2014 to 2017 he served the BioRobotics Institute as the Deputy Director. He has been working at ARTS Lab since 2005 in the framework of many national and international research projects on upper limb prosthetics and robotic hands under the supervision of Dr. M. C. Carrozza. In particular, he has collaborated as Research Engineer in the IST FET CYBERHAND Project, the Revolutionizing Prosthetic Program 2007, the IST ROBOTCUB, and the IST FET NEUROBOTICS projects. Lately he has been the SSSA Team Leader for SAFFEHAND (2007-2008: PRIN 2006 national project), SMARTHAND (2006-2010: EU, NMP programme) and NANOBIOTOUCH (during 2010: EU, NMP) and the Project Manager of OPENHAND (2010-2012: PRIN 2008) projects. Recently he was the Coordinator and PI of the FIRB 2010 (early career grant) MY-HAND Project funded by the Italian Ministry of Research (2012-2015), of the WAY Project (Wearable interfaces for hAnd function recovery - EU-FP7-ICT-288551) funded by the European Commission (2011-2015) and of the PPR3 Project funded by the Italian Workers’ Compensation (INAIL). Today he is the Coordinator/PI of four large national/international research projects on upper limb prosthetics: an ERC Starting Grant (#679820), dubbed MYKI, funded by the European Research Council (ERC), the DeTOP Project (H2020-ICT-687905) funded by the European Commission (2011-2015), of the CECA2020 Project funded by the Italian Workers’ Compensation (INAIL) and of the ARLEM Project funded by the Italian Ministry of Research (2018-2022). IX) National Scientific Habilitation (Abilitazione Scientifica Nazionale) (2017) as Professor of Bioengineering 09/G2. Call 2016. VIII) ERC Starting Grant awarded to Christian Cipriani with the project MYKI: "A Bidirectional MyoKinetic Implanted Interface for Natural Control of Artificial Limbs" (ERC # 679820), for the period 2016-2021. Read the News (in Italian). ERC grants are the most prestigious grants in Europe. This was the first ERC grant awarded to Scuola Sant'Anna as the Host Institution. VII) Research section of the Premio Capitani dell'Anno 2015 awarded to the MyHAND project. Read the News (in Italian). VI) National Scientific Habilitation (Abilitazione Scientifica Nazionale) (2014) as Associate Professor of Bioengineering 09/G2. Call 2012. V) Senior Member (2012) of the IEEE Robotics and Automation Society (M'06) and of the Engineering in Medicine and Biology Society (M'09). IV) FIRB 2010 under 32 early-career Grant by MiUR, the Italian Ministry of Education and Research to Christian Cipriani with the project: "Myoelectric-Hand prosthesis with Afferent Non-invasive feedback Delivery: MY-HAND" (grant no. RBFR10VCLD), for the period 2012-2014. Read the News (in Italian). III) 2011 Fulbright Research Scholarship to spend a six month research period in 2012 at the Department of Bioengineering of the University of Colorado – Denver, at Dr. Richard Weir’s laboratory, for evaluating the effectiveness of sensory feedback and parallel control on myoelectrically controlled dexterous hand prostheses. Read the News (in Italian). II) Innovation section of the 2009 Vespucci Award awarded to Prensilia Srl (Company founder and associate) with the project named: “e-grasp, trans-radial prosthesis”. The prize is held by the Tuscany regional Government, and awards the most brilliant and innovative entrepreneurship project based on innovative solutions not yet industrially exploited. Read the News (in Italian). I) 2009 Antonio d’Auria Award (open to european citizens) for projects and prototypes of innovative robotic devices to aid the motor disabled from the Italian Robotics and Automation Association (SIRI) with the SmartHand transradial-prosthesis prototype developed. Read the News (in Italian). J69) E. Mastinu, F. Clemente, P. Sassu, O. Aszmann, R. Brånemark, B. Håkansson, M. Controzzi, C. Cipriani, M. Ortiz-Catalan, “Grip control and motor coordination with implanted and surface electrodes while grasping with an osseointegrated prosthetic hand,” Journal of NeuroEngineering and Rehabilitation, Accepted, 2019. J68) N. Malesevic, G. Andersson , A. Björkman, M. Controzzi, C. Cipriani, C. Antfolk, “Instrumented platform for assessment of isometric hand muscles contractions," Measurement Science and Technology, Accepted, 2019. J67) F. Clemente, G. Valle, M. Controzzi, I. Strauss, F. Iberite, T. Stieglitz, G. Granata, P. M. Rossini, F. Petrini, S. Micera, C. Cipriani, “Intraneural sensory feedback restores grip force control and motor coordination while using a prosthetic hand," Journal of Neural Engineering, vol. 16, no. 026034, pp. 1-9, 2019. J66) E. D’Anna, G. Valle, A Mazzoni, I. Strauss, F. Iberite, J. Patton, F. Petrini, S. Raspopovic, G. Granata, R. Di Iorio, M. Controzzi, C. Cipriani, T. Stieglitz, P. M. Rossini, S. Micera, “A closed-loop hand prosthesis with simultaneous intraneural tactile and position feedback,” Science Robotics, vol. 4, no. eaau8892, pp. 1-13, 2019. J64) F.M. Petrini, G. Valle, I.Strauss, G. Granata, R. Di Iorio, E. D’Anna, P. Čvančara, M. Mueller, J. Carpaneto, F. Clemente, M. Controzzi, L. Bisoni, C. Carboni, M. Barbaro, F. Iodice, D. Andreu, A. Hiairrassary, J.L. Divoux, C. Cipriani, D. Guiraud, L. Raffo, E. Fernandez, T. Stieglitz, S. Raspopovic, P.M. Rossini, S. Micera, "Six-months assessment of a hand prosthesis with intraneural tactile feedback," Annals of Neurology, vol. 85, no. 1, pp.137-154, 2019 (online version 2018). J61) G. Valle, A. Mazzoni, F. Iberite, E. D’Anna,I. Strauss, G. Granata, M. Controzzi, F. Clemente, G. Rognini, C. Cipriani, T. Stieglitz, F. M. Petrini, P. M. Rossini, S. Micera, "Biomimetic Intraneural Sensory Feedback Enhances Sensation Naturalness, Tactile Sensitivity, and Manual Dexterity in a Bidirectional Prosthesis," Neuron, vol. 100, pp. 1-9, 2018. On line. J60) G. Kanitz, C. Cipriani, B. Edin, "Classification of transient myoelectric signals for the control of multi-grasp hand prostheses," IEEE Trans. on Neural Systems and Rehabilitation Engineering, vol. 26, no. 9, pp. 1756-1764, 2018. On line. J59) A. W. Shehata, L. F. Engels, M. Controzzi, C. Cipriani, E. J. Scheme, J. W. Sensinger, "Improving Internal Model Strength and Performance of Prosthetic Hands Using Augmented Feedback," Journal of NeuroEngineering and Rehabilitation, vol. 15, no. 70, pp. 1-12, 2018. On line available. J58) M. Aboseria, F. Clemente, L. F. Engels, C. Cipriani, "Discrete vibro-tactile feedback prevents object slippage in hand prostheses more intiutively than other modalities," IEEE Trans. on Neural Systems and Rehabilitation Engineering, vol. 26, no. 8, pp. 1577-1584, 2018. On line. J57) G. Kanitz, F. Montagnani, M. Controzzi, C. Cipriani, "Compliant prosthetic wrists entail more natural use than stiff wrists during reaching, not (necessarily) during manipulation," IEEE Trans. on Neural Systems and Rehabilitation Engineering, vol. 26, no. 7, pp. 1407-1413, 2018. On line. J56) I. Imbinto, F. Montagnani, M. Bacchereti, C. Cipriani, A. Davalli, R. Sacchetti, E. Gruppioni, S. Castellano, M. Controzzi, "The S-Finger: a synergetic externally powered digit with tactile sensing and feedback," IEEE Trans. on Neural Systems and Rehabilitation Engineering, vol. 26, no. 6, pp. 1264-1271, 2018. On line. J55) N. Maleševic, D. Markovic, G. Kanitz, M. Controzzi, C. Cipriani, C. Antfolk, "Vector Autoregressive Hierarchical Hidden Markov Models for Extracting Finger Movements Using Multichannel Surface EMG Signals," Complexity, no. 9728264, 2018. On line available. J54) L. Ferrari, S. Sudha, S. Tarantino, R. Esposti, F. Bolzoni, P. Cavallari, C. Cipriani, V. Mattoli, F. Greco, "Ultraconformable Temporary Tattoo Electrodes for Electrophysiology," Advanced Science, no. 1700771, 2018. On line available. J52) M. D'Alonzo, L. F. Engels, M. Controzzi, C. Cipriani, "Electro-cutaneous stimulation on the palm elicits referred sensations on intact but not on amputated digits," Journal of Neural Engineering, In press, 2017. On line available. J20) C. Antfolk, C. Cipriani, M. C. Carrozza, C. Balkenius, A. Björkman, G. Lundborg, B. Rosen, F. Sebelius, "Transfer of tactile input from an artificial hand to the forearm: experiments in amputees and healthy volunteers," Disability and Rehabilitation: Assistive Technology, Early access, 2012. P8) F. Sorgini, R. Calio, C. Cipriani, M. C. Carrozza, C. M. Oddo, C. Galassi, "Trasduttore integrabile per applicazioni aptiche," Italian national patent pending no. 102016000002346, Holder: Scuola Superiore Sant'Anna, January 2016. P7) L. Bassi Luciani, M. Controzzi, F. Montagnani, C. Cipriani, "Giunto meccanico a cedevolezza variabile," Italian national patent pending no. 102015000081936, Holder: Scuola Superiore Sant'Anna, December 2015. P6) L. Bassi Luciani, M. Controzzi, F. Montagnani, C. Cipriani, "Giunto a modalità di trasmissione selezionabile," Italian national patent pending no. 102015000081958, Holder: Scuola Superiore Sant'Anna, December 2015. P5) P. Prinetto, M. Indaco, G. Airò Farulla, C. Pintor, L. Orlando Russo, A. Salgarella, G. Micotti, C. M. Oddo, C. Cipriani, M. Controzzi, "Sistema per la comunicazione di simboli appartenenti ad una lingua dei segni tattile, e relativo metodo," Italian national patent pending no. TO2014A000982, Holder: Scuola Superiore Sant'Anna and Politecnico di Torino, November 2014. P4) F. Clemente, M. D'Alonzo, B. Edin, C. Cipriani, "Dispositivo per il ritorno sensoriale," Italian national patent pending no. PI2014A000045, Holder: Scuola Superiore Sant'Anna and Uminova Holding AB, July 2014. P3) M. Controzzi, F. Clemente, C. Cipriani, M.C. Carrozza, "Self-contained multifunctional hand prosthesis," European patent pending no. 13164114.4, Holder: Prensilia SRL, Apr. 2013. P2) M. Controzzi, F. Clemente, C. Cipriani, M.C. Carrozza, "Self-contained multifunctional hand prosthesis," Italian national patent pending no. PI2012A000049, Holder: Prensilia SRL, Apr. 2012. P1) C. Cipriani, M. Controzzi, M.C. Carrozza, "Interface device between an individual and a machine and interfacing method thereof," Italian national patent no. LU2010A000008, Holder: Prensilia SRL, Aug. 2010. His research interests are focused on mechatronic features and controllability issues of advanced robotic hands to be used as thought-controlled prostheses. In particular: the design of mechatronic components for artificial hands; the design of control architectures and intuitive control strategies; the use of biological signals for the physiological control of prehension; the development and clinical experimentation of bi-directional non-invasive interfaces; the investigation and comparison of shared-control strategies between user and the prosthesis. Most of his activities are strongly related to the development of hardware with the goal of building reliable, robust and durable stand-alone mechatronic hands. Prof. Cipriani is the Head of the Artificial Hands Area.